Now that all of the parts for the build have arrived, we can begin assembling our ultimate Windows 10 micro PC. As described in part 1, I selected the Lenovo M900 Tiny with the SkyLake based i7-6700T as the foundation for this build. To make this the ultimate micro pc, we will be upgrading the ram to 32 GB, installing a 256 GB M.2 PCI Express 3.0 SSD, and a 1 TB SSD for even more storage. Working with the M900 tiny form factor is very easy, simply remove the large screw on the back of the PC and slide the top towards the front. Once inside, the RAM and M.2 PCI-Express slots are hidden under the HDD caddy. Remove the thumb screw (may need the help of a Philips screwdriver) and slide the caddy towards the front of the PC. 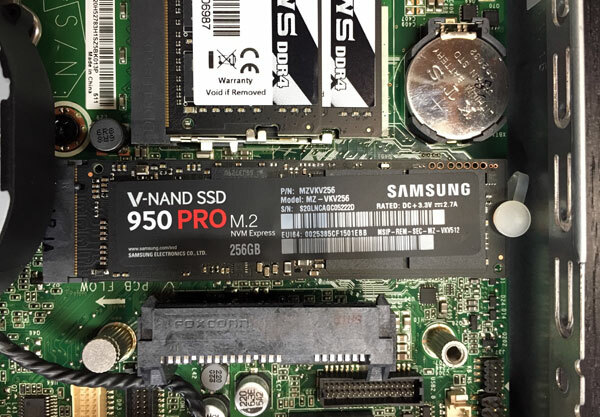 Now that we have access to the RAM and M.2 card slots, it is very easy to install the new 256 GB Samsung 950 Pro into the M.2 slot. Installing the 32 GB of G.Skill DDR4 ram is also very straight forward. 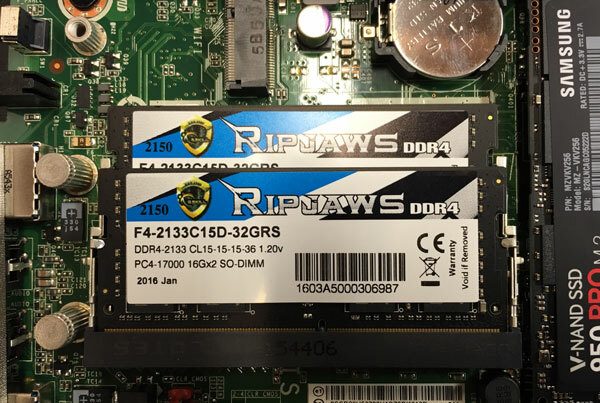 Thankfully there were no intel chipset compatibility issues with this DDR4 memory. 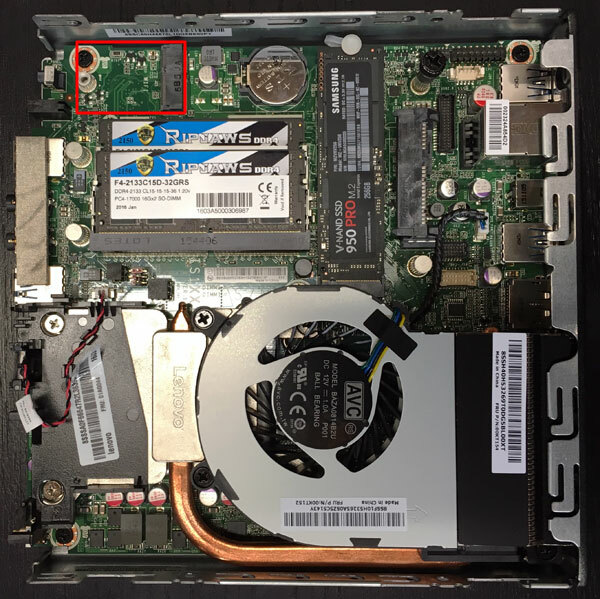 When installing the RAM, I noticed there is a bonus M.2 card slot the system board that I didn't notice on the Lenovo spec sheet. It looks like this is where the factory wireless connectivity option is installed so there is some hope if you want to add Wi-Fi and Bluetooth connectivity down the road. 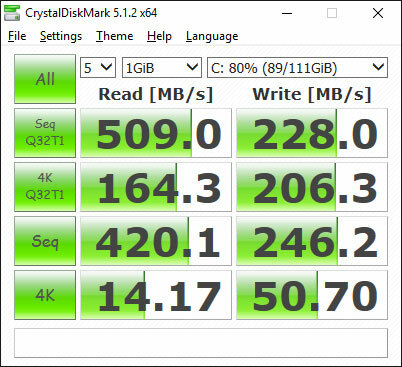 Finally, it is time to replace the stock 500 GB traditional hard drive in the caddy with the 1 TB Samsung 850 EVO SSD. 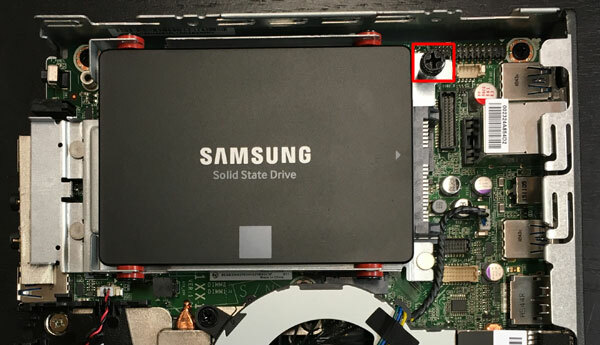 Once the new SSD is mounted in the caddy, just slide back onto the mounting posts from the front towards the back and lock it in place with the thumb screw. To install Windows 10, I used en_windows_10_multiple_editions_version_1511_x64_dvd_7223712.iso (Build 10586) downloaded from MSDN that I copied to a USB flash drive using these instructions. Installation was straightforward as the installer thankfully included drivers for the storage controller so I could install Windows 10 directly onto the 256 GB Samsung 950 Pro. The only negative is build 10586 did not include the Intel Ethernet drivers so I had to download those from Lenovo’s web site here. After Windows 10 was updated and multiple drivers updated via Windows Update I ran a number of benchmarks. First up, was the PCMark 8.0 Home Conventional 3.0 test. This benchmark runs through various common everyday scenarios that includes web browsing, video chat, photo editing, casual gaming and writing. The Ultimate Windows 10 Micro PC scored well in this benchmark with a score of 3489. This puts the build in the 71st percentile. Click here to view the full PCMark 8.0 results. Next up was 3DMark that focuses primarily on benchmarking the Intel HD Graphics 530 that is embedded in the i7-6700T. As expected, the results were top of the line when comparing against other integrated graphics systems, but the Intel HD Graphics 530 is destroyed when compared with dedicated graphics cards. Click here to view the full 3DMark results. 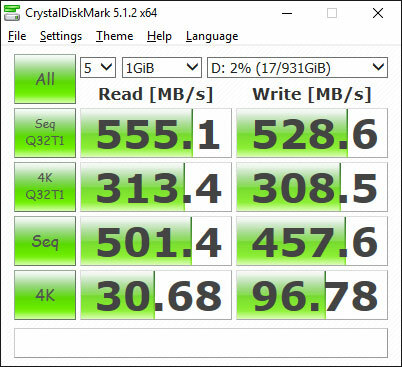 On to the storage speed tests, I used Crystal Disk Mark 5.1.2 x64 to test the sequential and random read/write performance of the two SSDs in the Ultimate Windows 10 Micro PC. And finally, the most important benchmark of all, the boot test. Power on to the lock/login screen was clocked at just under 19 seconds. If you measure the part where Windows 10 is actually loading, that was clocked at about 4 seconds. I am very happy with the result of this build. The Lenovo M900 tiny turned out to be the perfect platform. It is smaller and even quieter under load than my Mac Mini running Windows 10. The internal design and layout makes it very friendly for enthusiasts to upgrade. The highlight of the build was the Samsung 950 Pro that took advantage of the brand new m.2 PCI Express 3.0 slot and used all four lanes provided by the Intel Q170 chipset. 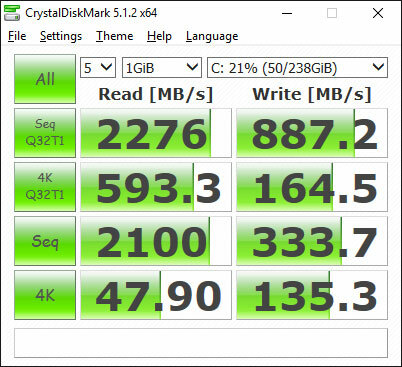 The performance of this drive is amazing, well worth the high cost compared to traditional SSD drives. The 32 GB of G.Skill DDR4 2133Mhz RAM is also very nice to have a desktop system. This is going to make it easy to run multiple Virtual Machines in Hyper-V or VMWorkstaion without sacrificing performance. The only aspect of this build that is not cutting edge is in the graphics department. The integrated Intel HD Graphics 530 delivers solid performance, easily powering my two HD displays over DisplayPort. But since this was the ultimate Windows 10 micro PC build, dedicated graphics was a sacrifice that I happily made. After all, I have my Xbox One for heavy gaming. Overall I am very happy with this build. Without a doubt, this is the ultimate Windows 10 micro PC with the best components money can buy today.